Monarch Air Group provides private air charter in Japan. Our clients benefit from top-notch service, unrelenting dedication to safety, wide selection of aircraft, and years of experience in chartering private jets. To obtain a free quote, please use our online quoting tool provided below, or call toll free 1-877-281-3051. Monarch Air Group provides private jet charter flights in and out of Japan. Japan is an island nation in East Asia. It is an archipelago of 6,852 islands. Honshu, Kyushu, Hokkaido and Shikoku are four largest islands, which comprise about ninety-seven percent of Japan’s land area. 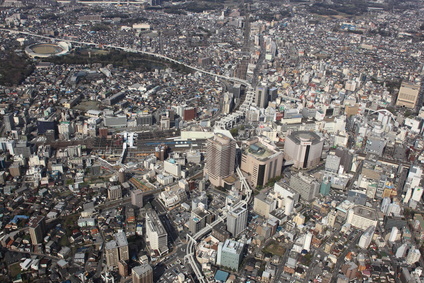 With over 127 million people, Japan has the world’s tenth-largest population. Japan is a constitutional monarchy where the power of the Emperor is very limited. Japan has the world’s 3rd-largest economy by nominal GDP and 4th-largest economy by purchasing power parity. It is also the world’s fourth-largest importer and fourth-largest exporter. Japanese culture has evolved greatly from its origins. Traditional Japanese arts include crafts like textiles, ceramics, lacquerware, dolls and swords; performances of kabuki, bunraku, noh, rakugo, and dance; and other practices, ikebana, the tea ceremony, martial arts, origami, calligraphy, Geisha, onsen, and games. The most notable tourist attractions are Ginza District, Roppongi District, Tokyo National Museum, Tokyo Tower, Tokyo Imperial Palace, Gion District, American Village, Nagoya Port, Yokohama Chinatown, and Hiroshima Peace Memorial. The most popular airports in Japan are Aomori Airport, Haneda Airport, Chubu Centrair International Airport, Kansai International Airport, Chitose International Airport, Narita International Airport, Fukuoka Airport, Misawa Airport, Hiroshima Airport, Osaka International Airport. 1. MMJ, Matsumoto, Matsumoto, Japan. 2. OKO, Yokota Afb, Tokyo, Japan. 3. TOY, Toyama, Toyama, Japan.